Now that we've talked about how to reclaim our creativity let's talk about how we benefit from living this way. If you missed Part 1 read it here. The first reason is that it makes your life richer. The creative process, whether it's painting, knitting, gardening or decorating, brings joy. You feel in the "flow" where you lose all sense of time. There's a tactile joy in the feel of the needle going in and out of the quilt and that heightened sense of accomplishment when you have created something. There's the physical exhaustion and giddiness as the garden begins to take shape. There's an indescribable feeling of not wanting to be anywhere else while putting brush to canvas. 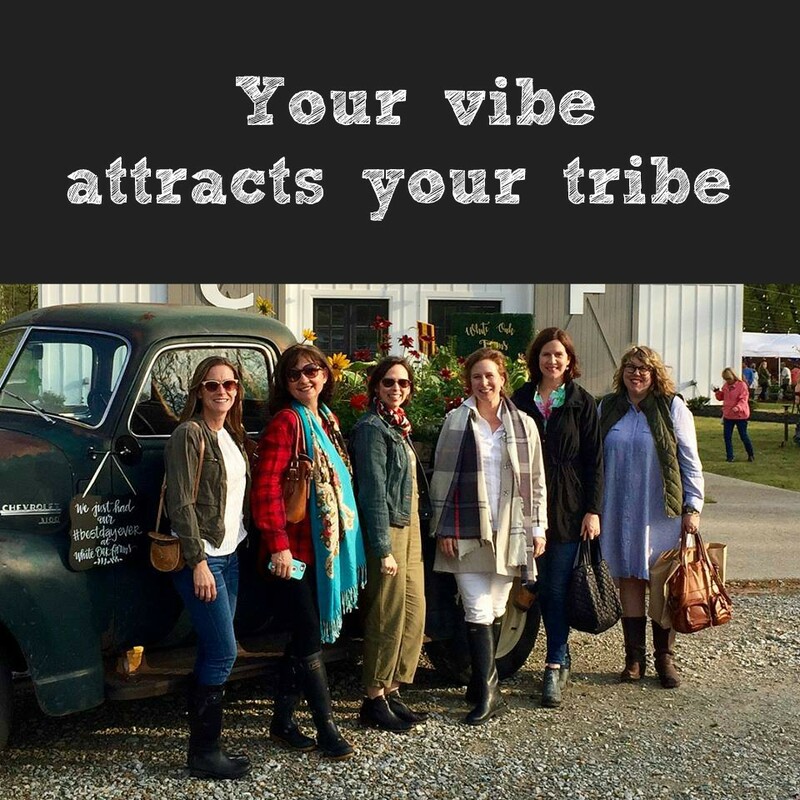 It also brings new people into your circle of friends as you meet up with others who share your passion. Every activity imaginable has social media pages and meetups where you can get to know fellow artists, quilters, or photographers. Once you find your creative passion it's super easy to find "your people"
Now there's something that often happens when you are happily creating along minding your own business and maybe giving things away as gifts here and there. People will start to say "You should really start a business." And maybe you should! Certainly, if you have an entrepreneurial bent you may well want to sell your items to make a profit. This is the age of the side hustle and handcrafted items, photography skills, and artwork are all perfect things to organically grow into a business. If you think that's the path you are on then I recommend the book The $100 Start-Up to see if turning your side hustle into your real hustle is for you. If that's your dream don't let anyone stop you! I actually wrestled with this decision for a year. No, Y'all. Literally every day for a year. I can't tell you how many entrepreneurial podcasts I listened to or how many books and articles I read about starting a business. But after thinking about it for 365 days I woke up on December 31st and said: "You know what, God, I want an answer about this TODAY." That morning I had to go to an attorney's office and while I sat waiting I overheard a conversation between two gentlemen one of whom could have been mistaken for Morgan Freeman. He and his wife had started a few years back flying to New York a few times and year and coming back to Memphis and selling them on Friday and Saturday. It was such a hit and they were having so much fun doing it that before he knew it, he said it was a seven day a week business. The fun went out of it and he and his wife became stressed out and unhappy. The other man told a tale of a similar experience in real estate, collecting and fixing up rental properties. Fun at first, but in the end causing nothing but stress and woe. Both men were recounting how they'd sold their businesses and learned a lesson. Then Morgan Freeman looked right at me and said: "Everything doesn't need to be a business." So there, from a stranger after asking everyone one I knew all year long whether I should make Pen and Hive a legit business, was my answer from a stranger. On the last day of the year when I'd worn myself out thinking about it for months. I know a brick wall when I see one. You know, usually. In this age of the side hustle, Shark Tank, fake it til you make it social media rampage it's easy to think that anything you are doing from blogging to making great salsa needs to be monetized. It doesn't. Even if everyone thinks you are missing a great opportunity, you have to know whether or not you would really be happy getting up every day and making 50 or 100 of the same thing. For me the idea of doing that makes me feel sick. I'm self-aware enough to know that while I love creating things and I'm thrilled that anyone would ever want to buy anything I create I know that I'm just not in it for the day in day out commitment a real business would take. I make the things I want to make and when it's gone it's gone. Plus, as a beekeeper, I'm hardly in charge of production. I work for the queen. Do a little self-inventory to know if you have the personality to be your own boss. What's funny is that I turn right around and do this to people all the time! I mean, I don't know what I should be doing but I definitely know what everyone else should be doing. I have a friend who does magical things with quilts. Seriously, after she explains how some of her stuff is made I'm still just so confused. I'm constantly telling her "You should sell these! You could make so much money!" But she doesn't want to do that. She tells me that she's making them for her daughter and grandchildren or friends. Each stitch contains both her love for her craft and also any recipient. Which brings me to the last part of why living a creative life is important: You are creating a legacy. If you paint a picture or write a book or make a quilt that thing will exist long after you are gone. You will be creating a piece of, what I call, tangible joy. A physical item that contains and represents all the joy that you, the creator experienced while making it. If you have an heirloom made by a family member that has passed away then you know what I mean. It's a treasure and the effort and care of the person who made it is treasured. Foster your creativity and see where it takes you. It may grow into a business that allows you to quit your day job or you may only make things that you share with friends or family. Either way, you are breathing joy into your life and creating a bit of tangible joy that will live on in the future as a gift to the world.